Our timeshare exit team knows a thing or two about timeshare scams. If you have been the victim of a timeshare scam, you need to get rid of that timeshare. We can help you and may even be able to get some of your money back. Read on for timeshare cancellation tips and to learn more about how to avoid common timeshare scams. Timeshares were once touted as a low-cost way to purchase a luxury vacation for life. Timeshare salesmen are experts at selling you a dream. However, the timeshare world is often riddled with scams and con-artists. The easiest way to avoid timeshare scams is to skip buying a timeshare altogether. More often than not, they end up being a huge rip-off and cost significantly more than just buying a vacation package would. You can also end up getting stuck with a timeshare that you don’t want or can’t use. Many people in the early 2000’s were buying fixed week timeshares which limited their usage to one specific week of the year. In theory, this sounds like a good idea, but when you realize you basically have your vacations planned for life, it really limits what you can do with your time. A job change or school schedule change can make your week impossible to use. While trading your week sounds good in theory, the logistics are often way too complicated. This can leave you paying for a timeshare that you cannot use. Our timeshare exit team has seen the scenario many times, and we can help you get rid of this type of timeshare with our timeshare cancellation process. While not purchasing a timeshare in the first place is the best way to stay away from timeshare scams, if you would still like to own a timeshare, you need to make sure you purchase from a legitimate company. Avoid buying timeshares from a name you have never heard of. Also, stay away from smaller hotel chains because your vacation options will be limited. Our timeshare exit team deals with a lot of timeshare cancellations that are necessary because vacation options are almost non-existent. 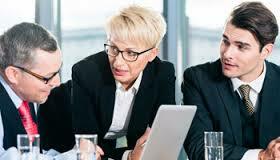 You also need to be aware of the timeshare sales process. Don’t let a slick timeshare salesman pull the wool over your eyes. 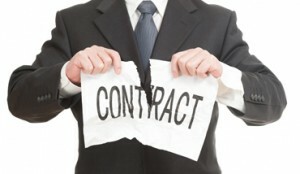 Make sure to read the fine print of your timeshare contract. Often, when our timeshare exit team reviews timeshare contracts, we find some shady clauses in the fine print. You also need to make sure that you stay away from unrealistic promises. During timeshare presentations, you will be offered a ton of free incentives. We have even heard of some companies offering a free boat to anyone who bought a timeshare. Turns out, it was a toy boat, but of course, that wasn’t disclosed until after the contract was signed. Basically, if it sounds too good to be true, it probably is. Stick with companies that offer realistic incentives like a free night on one of their properties or a dinner voucher. While this isn’t quite as exciting, it is much less likely to be a timeshare scam. Finally, do not let a timeshare company convince you that you cannot cancel a timeshare. This is the most common timeshare myth our timeshare exit team deals with. Once the timeshare company has you hooked, they don’t want to let you go. As long as you keep making your monthly payments, they keep making money. So they tell you that a timeshare cancellation is impossible. This can be frustrating for you as a consumer and is also a complete timeshare scam. You can get a timeshare cancellation, and it is not as difficult as you would imagine. The best first step is to call our timeshare exit team. We specialize in timeshare cancellation. We don’t do any type of timeshare resales, and we are on your side. We don’t work for the resorts or the timeshare company. If you need to know how to get rid of a timeshare, you need to call us today. We offer a free consultation and review of your timeshare contract. We also offer a money back, satisfaction guarantee. This means that if we can’t cancel your timeshare, you get your money back. Call our timeshare exit team today to get more information on timeshare cancellation and other ways to avoid common timeshare scams. We are here for you twenty-four hours a day, seven days a week, three hundred and sixty-five days a year. So stop waiting and start living again, timeshare free. We look forward to your call.